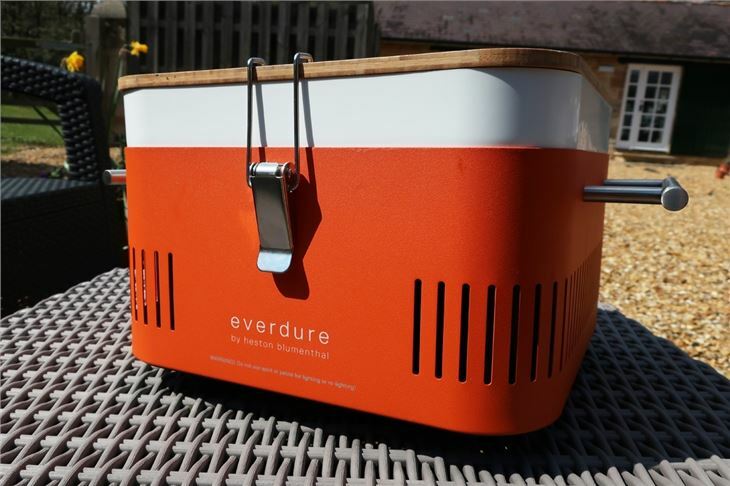 The Everdure CUBE is a portable charcoal BBQ made up of a porcelain enamel firebox with a food-grade storage tray and a bamboo preparation board integrated into the design to make a lid. 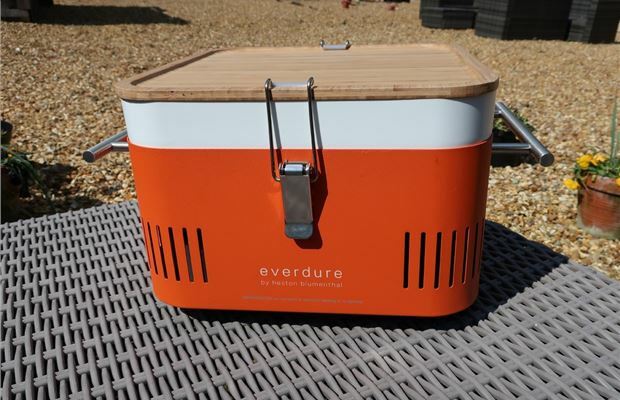 The Everdure range is the brain-child of British chef, Heston Blumenthal; blending Blumenthal's extensive knowledge of cooking with touches of minimalist Danish design. The CUBE is ideal for taking out and about to picnics, campsites or even the beach - with a deceptively big enough cooking space to barbecue enough food to feed the whole family. 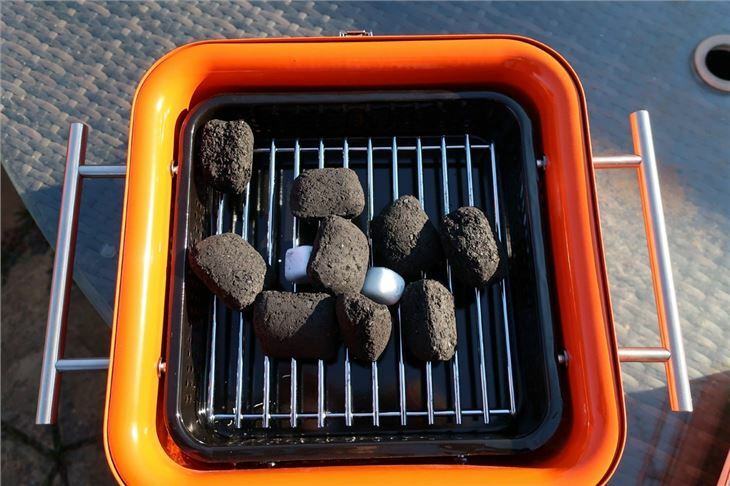 It isn't the cheapest charcoal BBQ around, but it does a great job at doing what it says on the tin. Plus, for our image-conscious readers, it's definitely a looker with a big name on the side. The CUBE comes assembled, so it’s just a case of wiping it down before you add the charcoal. Following the quick guide instructions, we set about building up the charcoal. There's a black tray inside the unit, which we removed and placed tinfoil under. We then put the black tray back into the CUBE, placing the grilling rack onto it and the charcoal on top of the rack. 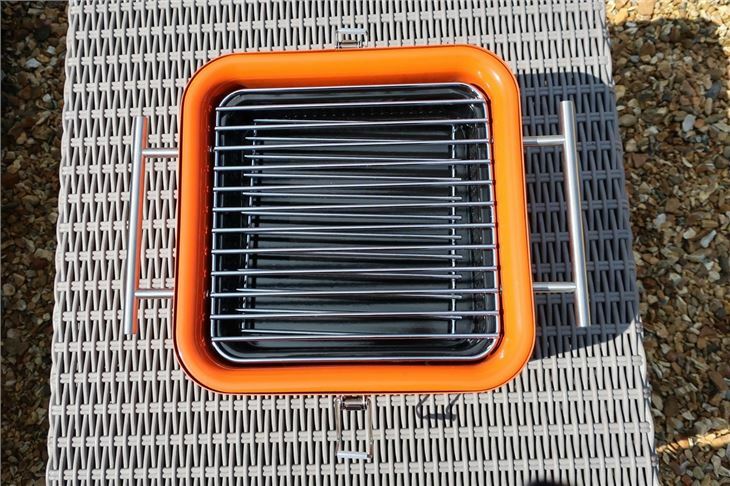 The space beneath the black charcoal tray is ventilated, which you can see in photos below. Although it sounds convoluted, it's all very simple to set up - but here's a video tutorial just in case you're still lost. 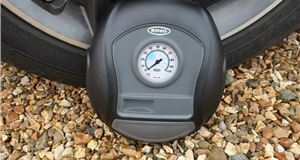 The quick guide gives the option of indirect or direct cooking. We opted for the indirect cooking option, placing the charcoal in the middle and cooking around the outside. Using firelighters and briquettes, the lighting process took seconds - just be careful not to overload the tray with too much charcoal. The charcoal rack sits within the CUBE, so the fire is protected from the elements. 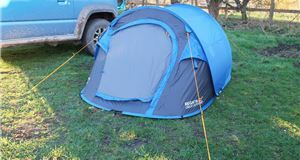 Even on the very windy day we tested it, the CUBE copes well. However, on such a small BBQ the indirect option didn’t work very well. Due to the heat being so close to the food, we kept having to monitor the BBQ and regularly flip food. 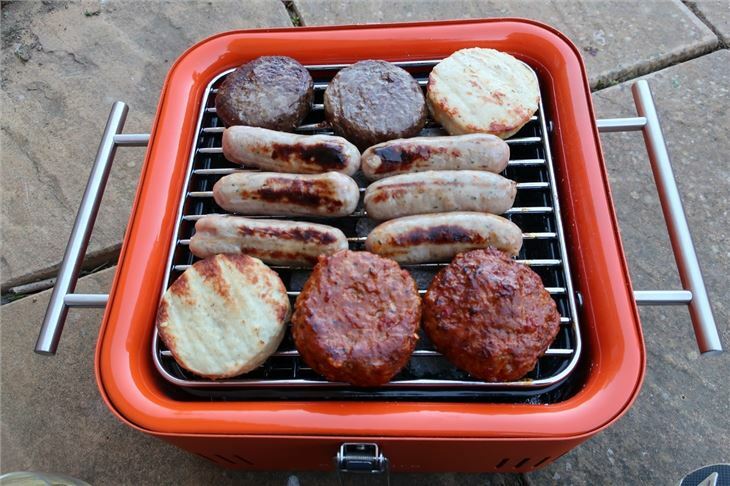 On the plus side, the cooking rack - which sits on top of the charcoals - is big enough to fit six burgers and six sausages, so there are no worries about feeding a big group on the reasonably small CUBE. 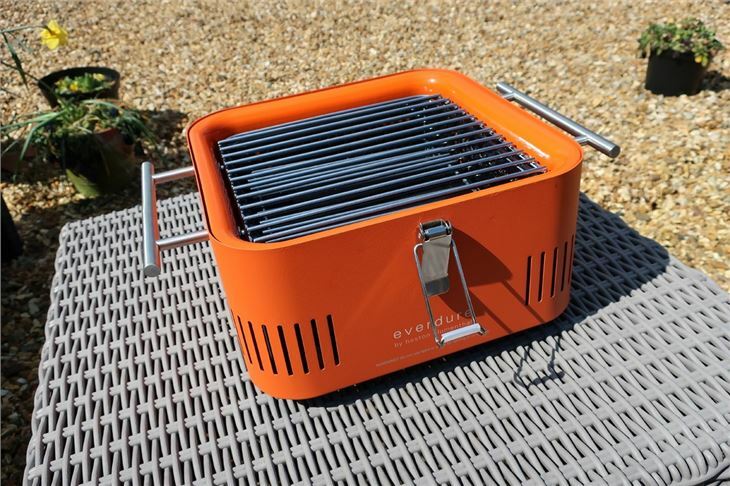 The BBQ is fairly lightweight and easy to move around with two sturdy chrome handles, although we wouldn't suggest carrying it too far as it is a tad weighty at 7kg. This turned out to be very useful as, towards the end of cooking the sun has started to move, so we decided to pick up the BBQ and move back into the sunshine. 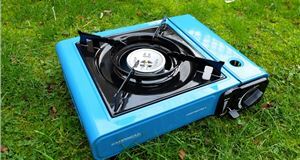 In this time, the BBQ stayed lit for 50 minutes - with the bottom of the CUBE BBQ never getting hot (so you won't have to worry about damaging your grass or table with the CUBE). There are also no issues with picking up the CUBE as the chrome handles are cool to the touch. Once the embers cooled down, we took it apart to clean. The charcoals sit in a separate tray, so it's easy to load in advance and then lift out and clean once finished. All of the racks also cleaned up nicely, with no fire damage on any part of the BBQ - in fact, it looks good as new after a quick scrub. 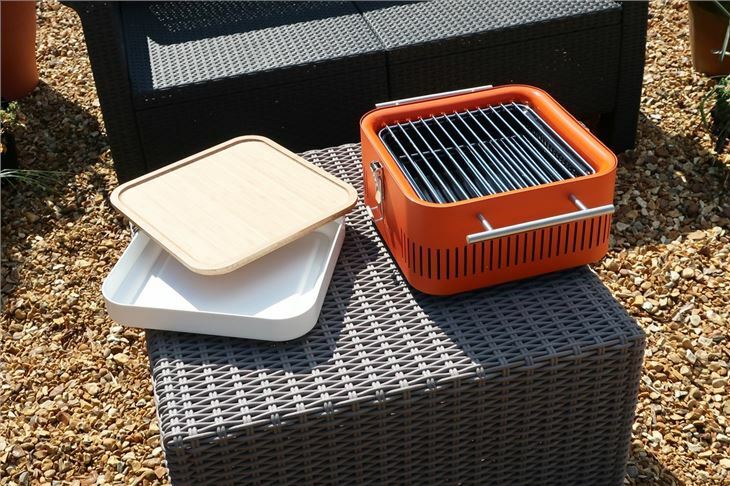 As previously mentioned, there's a plastic storage tray and bamboo preparation board cleverly integrated into the design, meaning - for example - you can leave meat marinading in the fridge overnight before attaching it to the CUBE ahead of your day out. 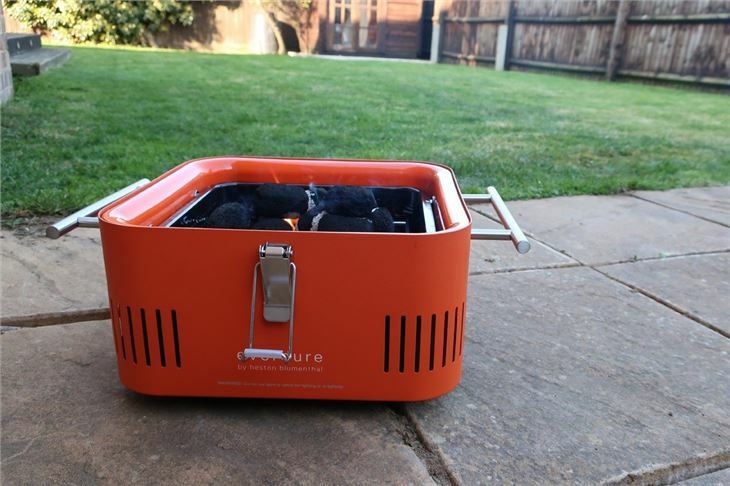 The design leaves room to store the coals within the body of the barbecue, too, with two safety latches holding it all in place when the CUBE is moved. 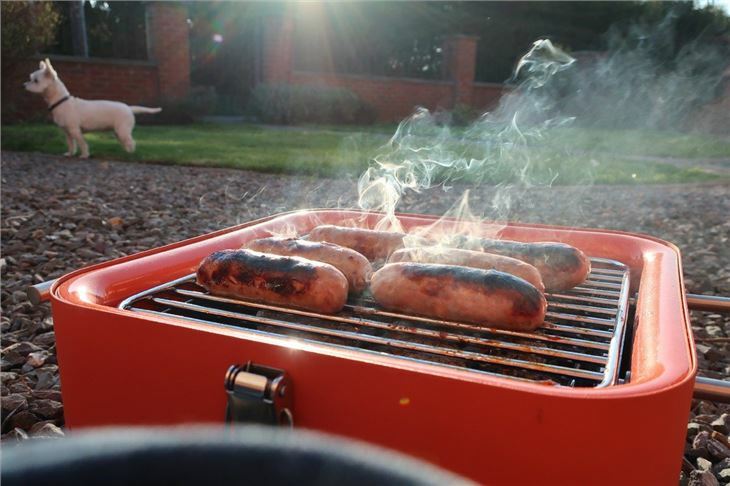 We think the BBQ is great for campers or away from home BBQing. 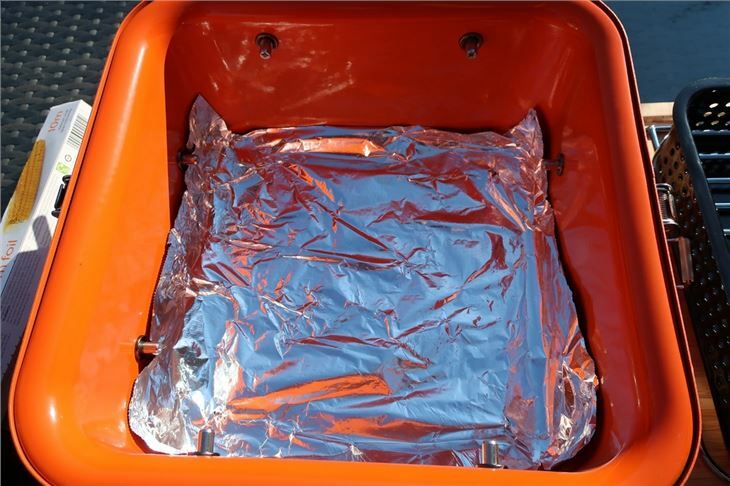 It's easy to carry and, once you're finished cooking, it's simply a case of clipping the lid back on and it is contained ready for the ride home. 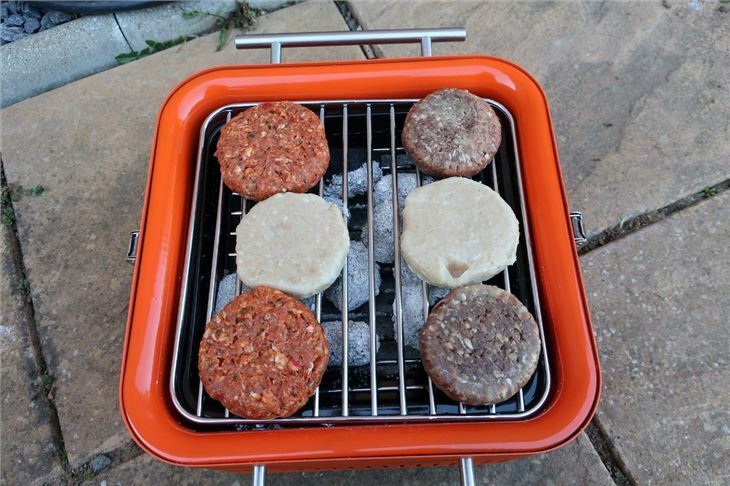 One thing we'd like to see at this price is a heatproof lid so that the BBQ doesn't need to be placed up higher or supervised constantly to protect pets or small children. 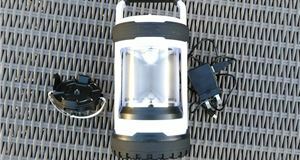 The travel bag, which would make carrying the CUBE a lot easier, is also a £129 extra, ouch. However, the construction is very solid with nice touches like cool to the touch handles and a vibrant, matt exterior to boot. Yes, it's a lot of money for a portable BBQ, but you can see where that money has been spent.